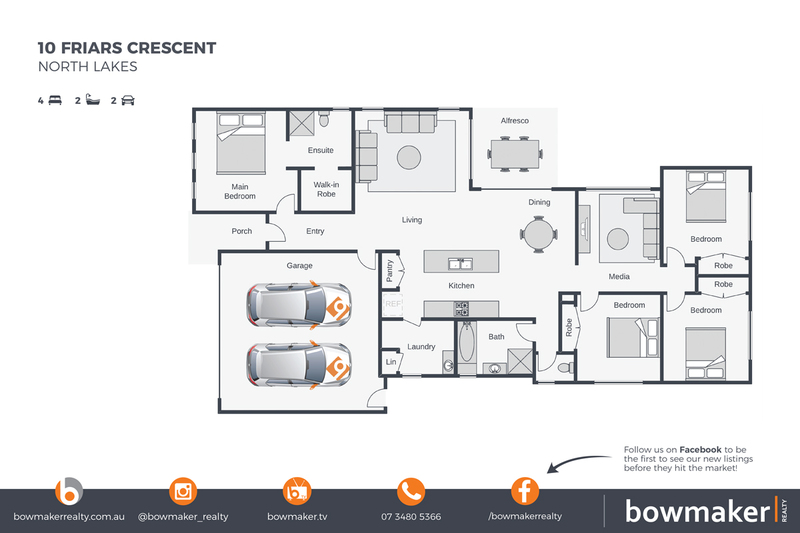 Four bedroom home air-conditioned with all the extras! This lovely property offers that little something extra. From the high quality inclusions to the larger than average yard space with double gated side access the list of inclusions will impress. The air conditioned main bedroom located at the front of the property is separated from the other bedrooms and includes a double vanity en suite with stone benches, quality tap ware and basins plus a large WIR The 2nd, 3rd and 4th bedrooms separated at the rear of the property are all good sized rooms with mirrored robe doors each opening to a common lounge/TV room. Central to the property are the family and dining rooms each with double sliding doors opening to the under cover alfresco. The kitchen, the central focal point of the property is fully equipped with a 90cm free standing 5 burner gas cooker and oven, rangehood, dishwasher and microwave and finished with stone benches and feature glass splash back. Well located only minutes walk to the local community centre, shops school and childcare and less than five minutes drive to North Lakes Westfield Shopping Centre.